Durasole is arguably the oldest business in the heart of Chelsea Village, Wynberg. For the past three generations, the Parbhoo family have been fitting and fixing shoes for the Cape Town community. 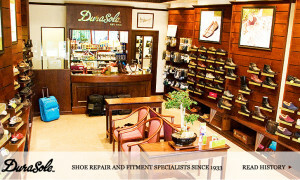 Durasole offers personal service and specialises in shoe repair, retail and fitment.